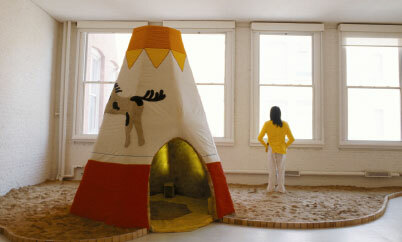 Justin Lowe, On the Beach, 2005, mixed media, dimensions variable. Once upon a time in the West, circa 1992, Paul Schimmel organized an ambitious group show, “Helter Skelter: L.A. Art in the 1990s,” at the Museum of Contemporary Art. The exhibition did more than trace the lineages of post-’60s LA art as a wellspring for a new generation of artists who would soon establish the city as a mecca for all in pursuit of the hot, hip, and fresh. “Helter Skelter,” in its juxtapositions of artists (and writers) of different generations, like Raymond Pettibon, Paul McCarthy, Mike Kelley, Dennis Cooper, Chris Burden, Charles Bukowski, Charles Ray, Jim Shaw, and Liz Larner, established an image of the scene—a freaky-pretty-haunted landscape—and a sensibility of “Sunshine and Noir” (the title of a later LA-themed exhibition at the Louisiana Museum of Modern Art in Denmark) that captured the perfervid attention of artists, critics, and dealers for the rest of the decade.